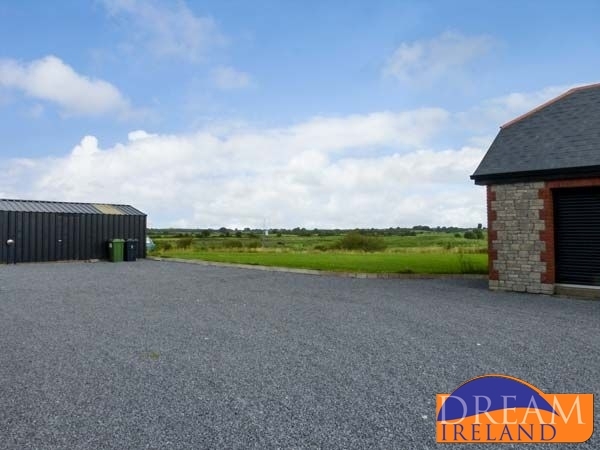 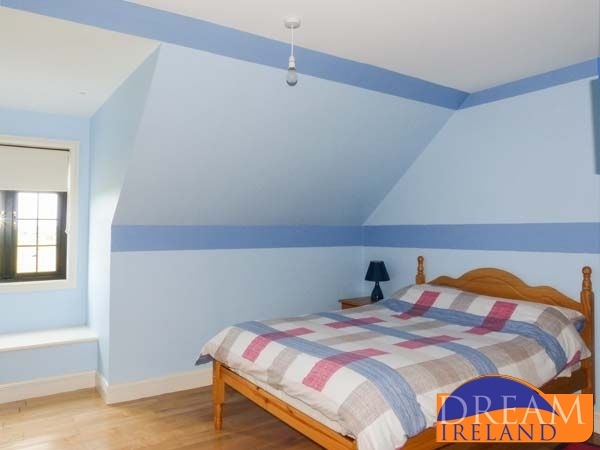 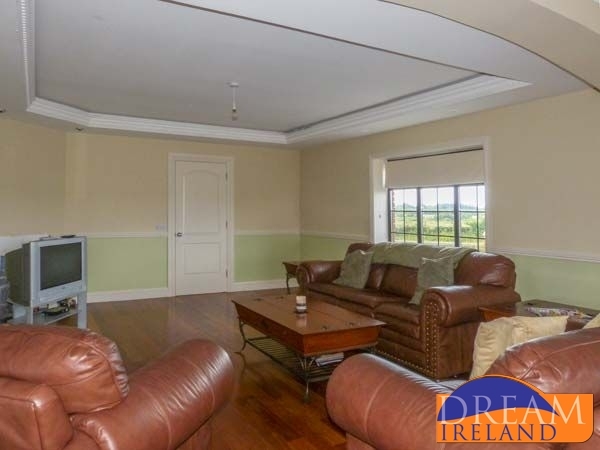 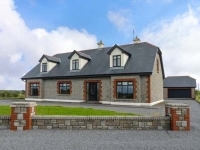 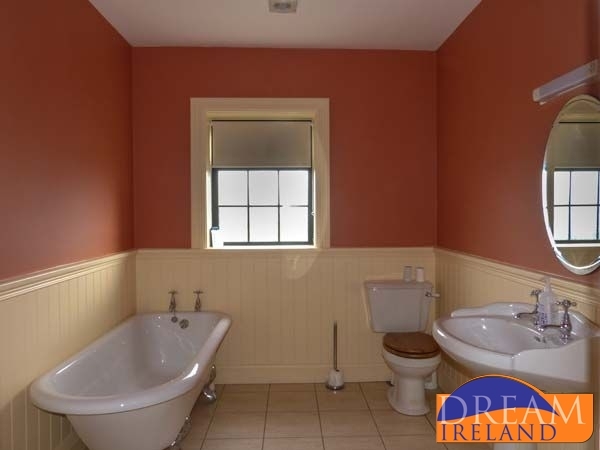 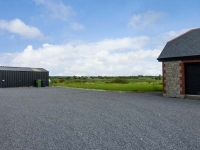 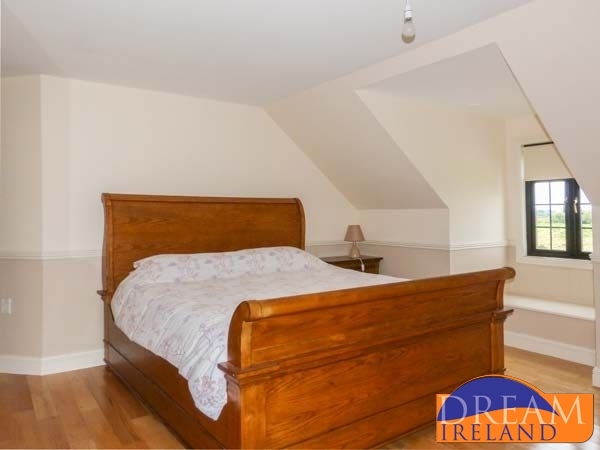 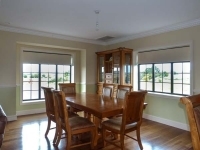 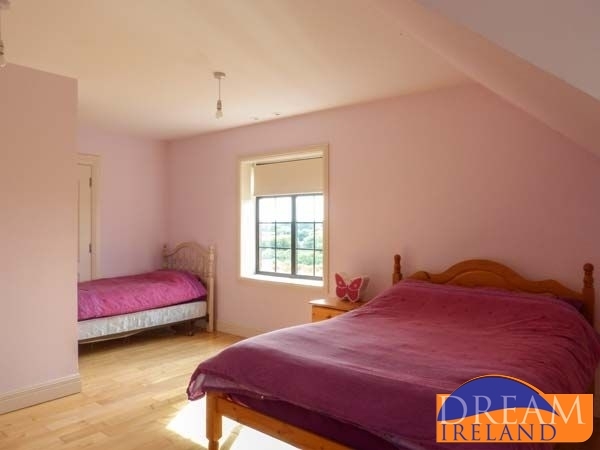 Located just 4 miles from the village of Ballinrobe in Co Mayo, this is a large 4 bedroomed house to sleep up to 9 people. 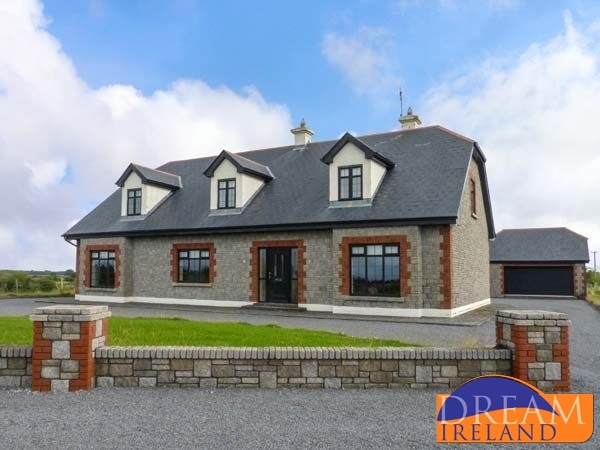 It is a detached and spacious cottage so would be ideal for a large family or indeed two smaller families holidaying together or perhaps even a group of friends or golfers. 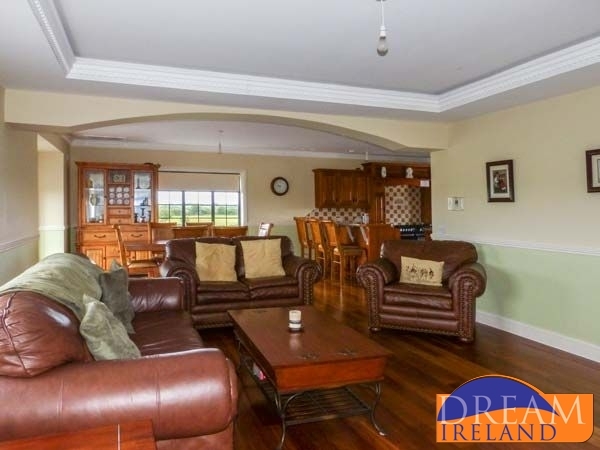 Downstairs is the open plan living area with a very well equipped kitchen. 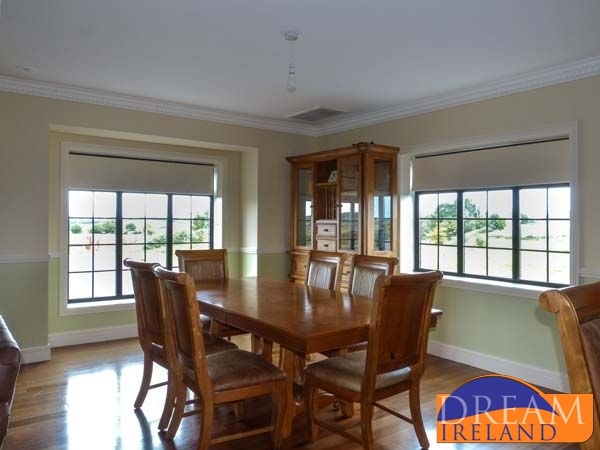 It also has a dining area with a table to seat 6 along with a breakfast bar to seat a further 3 people. 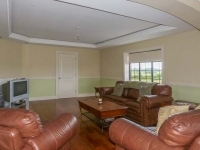 There is a sitting room area with TV and DVD player. 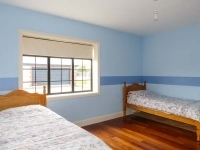 There is a twin bedroom downstairs along with a family bathroom with free-standing bath, toilet and wash hand basin. 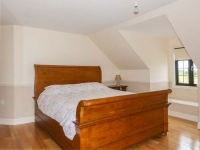 Upstairs is the master double bedroom with ensuite bathroom with jacuzzi bath and separate shower. 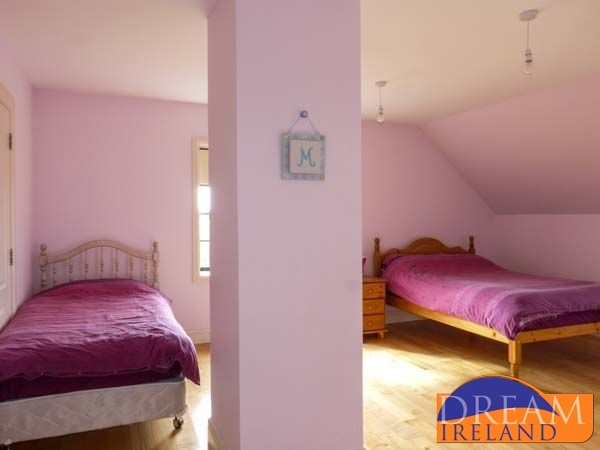 The other two bedrooms share access to another bathroom with shower only. 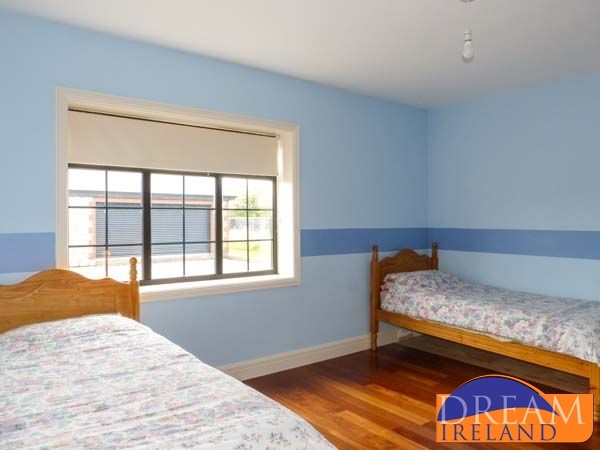 One is a double bedroom and the other is a family bedroom with a double and a single bed in it. There is a large lawned garden to the front and the rear of the house so it is ideal for children to play in.